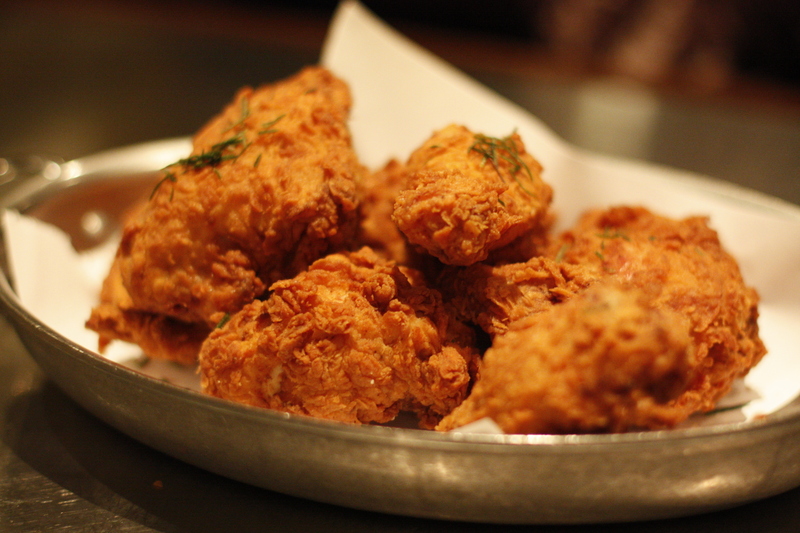 We have been meaning to visit Adhoc in Yountville for quite some time and always head about the Addendum fried chicken. 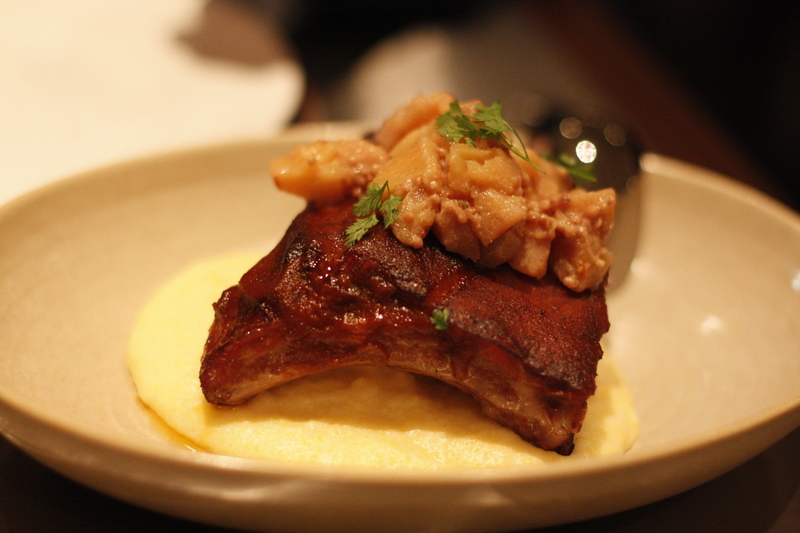 We wanted the fully Adhoc family style experience and ended up spending $52 per person. 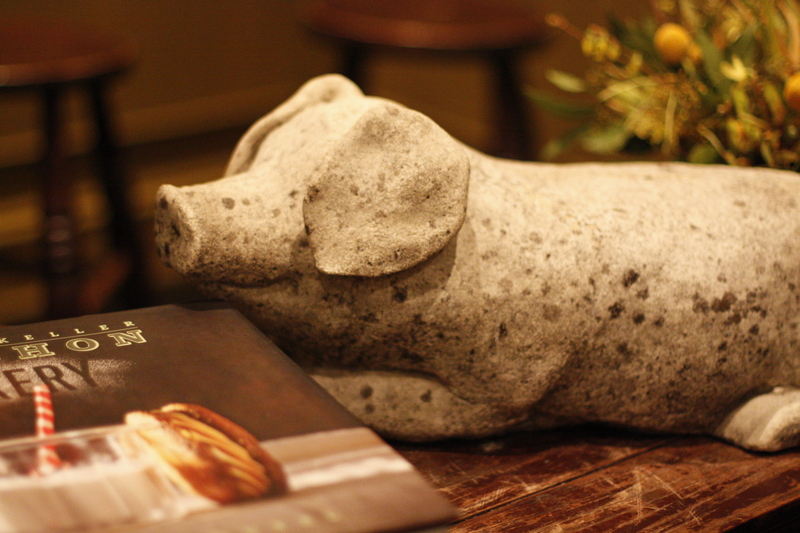 The decor was spacious and had adorable pigs throughout the restaurant’s entrance. 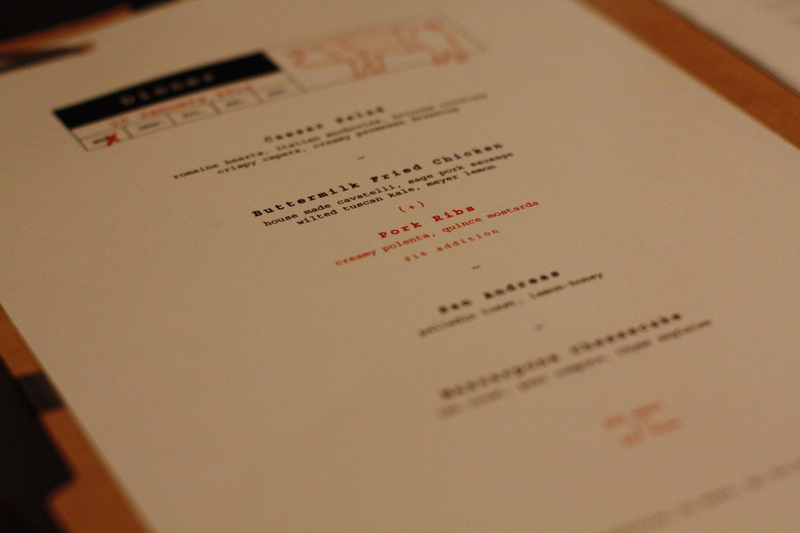 Select Monday evenings adhoc serves fried chicken and we went all out and added the pork ribs for an additional $16 for 2 people. 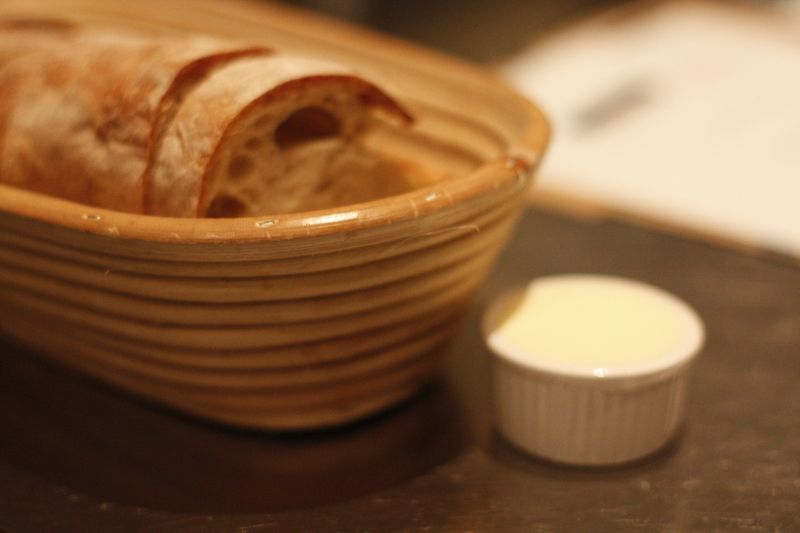 The crusty bread and butter was a great beginning to our meal as we were waiting for the salad to arrive. 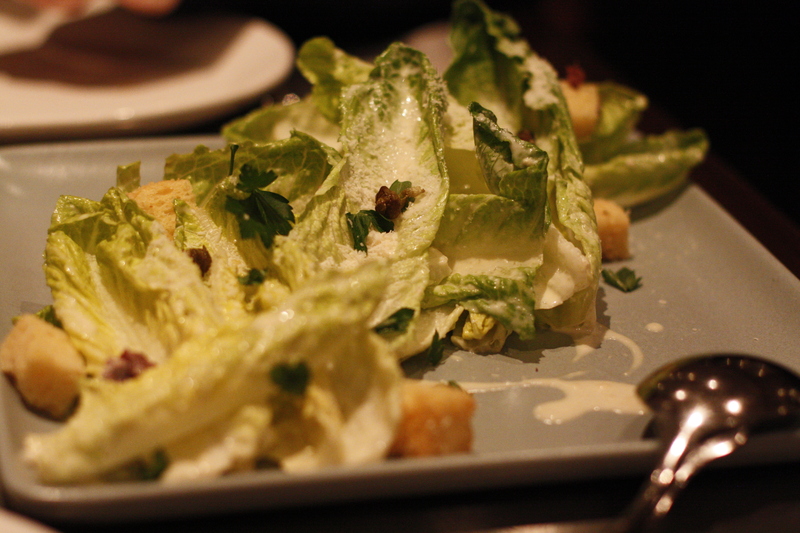 We have enjoyed Zuni’s famous caesar (BMH’s Zuni Cafe, San Francisco and Zuni Caesar Salad), but adhoc’s caesar salad romaine hearts, Italian anchovies, brioche croutons, crispy capers and creamy parmesean dressing is fresh and has a nice tangy flavor and the most unique aspect is the fried capers which added nice texture and punch of flavor. Finally this gorgeous plan of buttermilk fried chicken arrived and it looked like a whole chicken. The golden crust had beautiful ripples and the second we bit into the crispy rich crust, the juicy chicken gave us the tingles. Totally worth the trip. Totally the best fried chicken one can ever eat. Here is Food & Wine unveiling of Thomas Keller’s lemon brined fried chicken recipe if you want to try it at home. 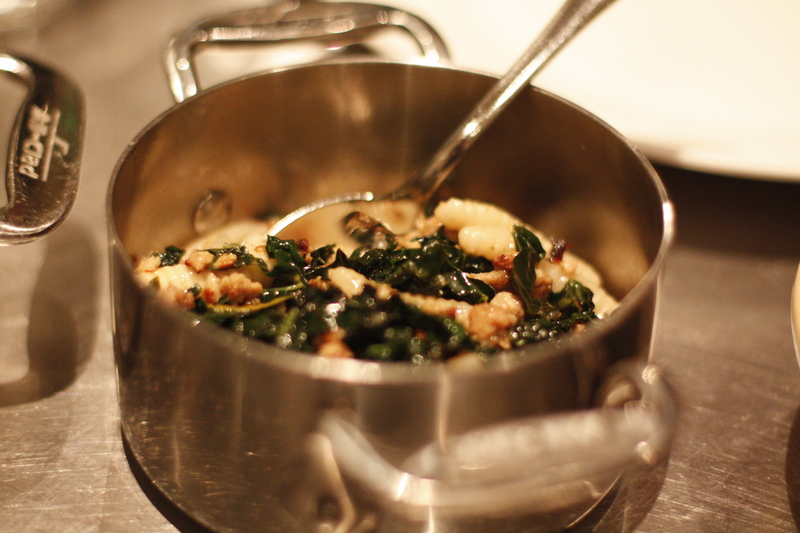 As a side, there was perfectly aldente house made cavatelli, sage pork sausage wilted tuscan kale, meyer lemon. Tasty, but I was focused on the fried chicken. The pork ribs had tender pork and a nice ratio of fat. The creamy polenta, quince mostarda went well with the rich, sweet ribs. However, nothing beats Stubb’s (BMH’s review of Stubb’s Bar-B-Q, Downtown, Austin). 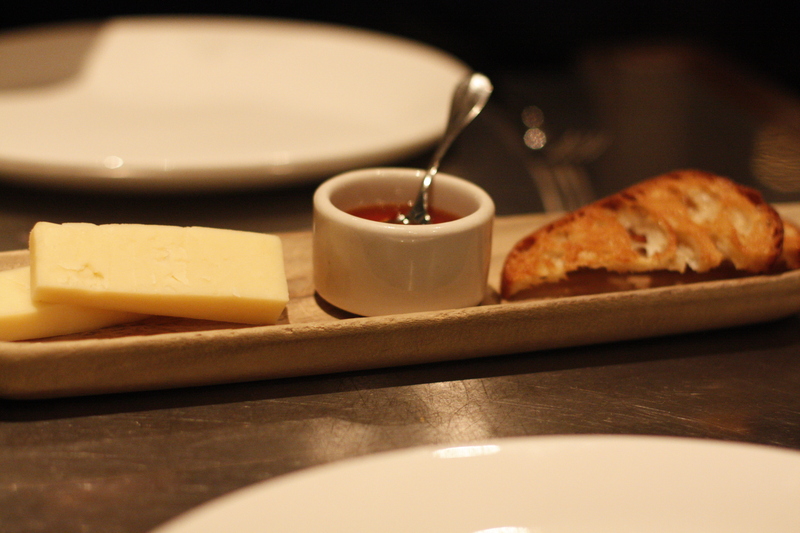 We paused before dessert to enjoy a San Andreas Vermont cheddar, palladin toast, lemon- honey. The cheddar was nice and sharp and went well with the thick honey and buttery toasts. Although we had no room for dessert, we made room. 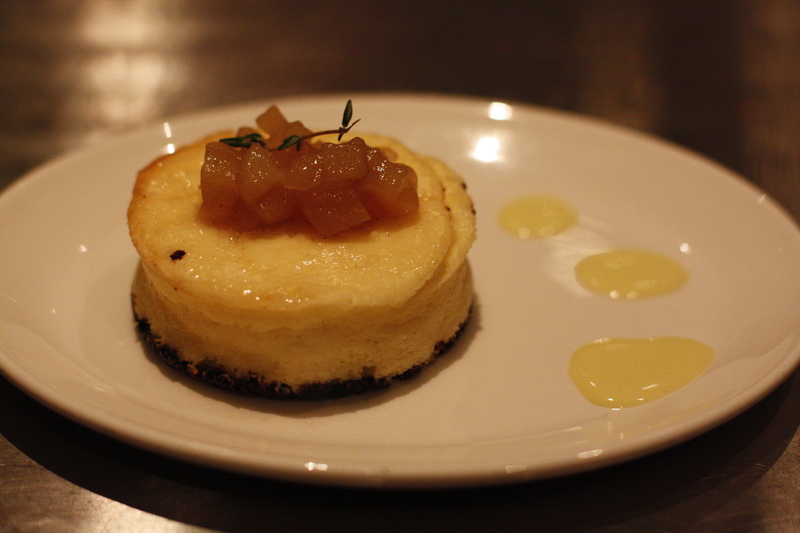 The mascarpone cheesecake, TKO (Thomas Keller Oreo) crust, pear compote, thyme anglaise was lightly sweetened and pleasant to share. We had to take the other one home. The crust reminded us of our own attempt to make oreos (BMH’s Blood Orange Oreos). If we happen to be in Yountville on a summer weekend, we will definitely be over at addendum for the takeaway fried chicken. Truly the best.